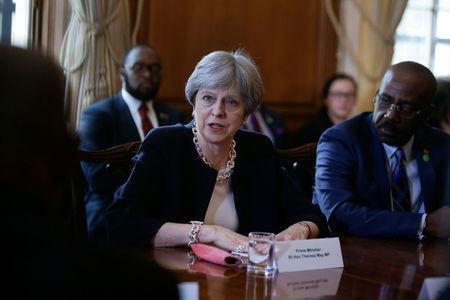 LONDON (Reuters) - Prime Minister Theresa May apologised to 12 Caribbean nations on Tuesday for immigration officials' harsh treatment of people from those countries who migrated to Britain as children after World War Two. 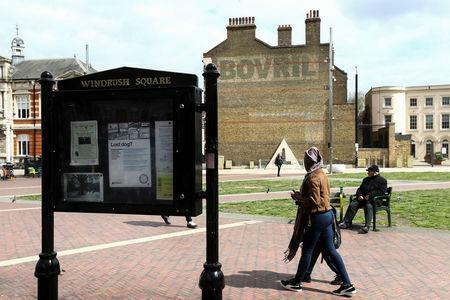 The "Windrush generation" were invited to Britain to plug labour shortfalls between 1948 and 1971, but some of their descendants have been caught up in a tightening of immigration rules overseen by May in 2012 when she was interior minister. "I want to apologise to you today because we are genuinely sorry for any anxiety that has been caused," May told leaders and diplomats from the Caribbean countries, who were in London for a summit of Commonwealth heads of government. The scandal over the mistreatment of people from what were once British colonies has cast a shadow over the summit, which is supposed to strengthen Britain's ties to fellow Commonwealth countries as it prepares to leave the European Union. "Now these persons are not able to claim their place as citizens," he said. May was on stage as he spoke, having delivered her own speech just before. "We would also like to reassure you that there will be no removals or detention as part of any assistance to help these citizens get their proper documentation in place," wrote Caroline Nokes, the immigration minister, to Caribbean foreign ministers and ambassadors. "We have no information, we do not know of any cases where somebody has been deported who is in this category," Cabinet Office Minister David Lidington said on Tuesday. "This is a national disgrace," he said. "What is going (on) makes me ashamed of our great country." Although the government has described the problems facing Windrush individuals as a result of bureaucratic bungling, critics such as Lammy have said the situation stems from the Conservative government's hostility towards immigrants. May's six-year tenure at the interior ministry was marked by a determination to reduce immigration numbers, a goal she has continued to emphasise as prime minister and in Brexit negotiations. In 2013, her ministry sent vans around multicultural neighbourhoods instructing illegal immigrants to "Go Home or Face Arrest".